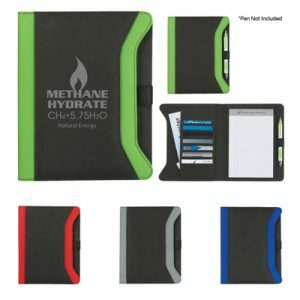 Help recipients of your next promotional portfolio giveaway bring a little style and utility to the next business meeting with Promo Excitement’s modern custom portfolios. 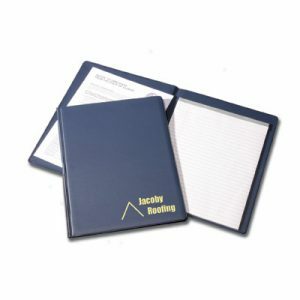 Our assortment of customizable portfolios is designed to keep your documents and writing instruments organized while featuring your brand name and logo on the front cover. Browse through our executive line of leather material portfolios with sueded leather spines down to our basic and economic portfolios that wont break the bank. No matter the choice, any custom portfolio makes an excellent employee gift. 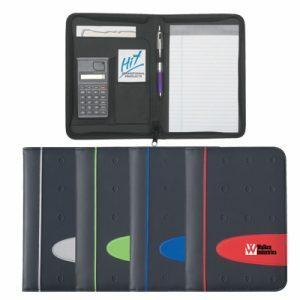 Portfolios are organizational folders that can hold paper and other accessories all together that is both easy to carry around the office and small enough to fit into a bag or briefcase. 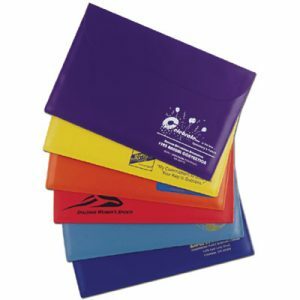 Our custom portfolios feature multiple cover material selections along with an assortment of available colors. 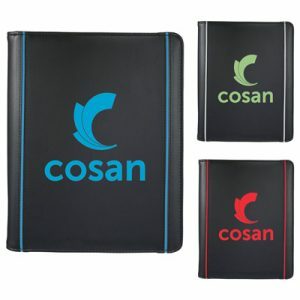 Whether you believe that your recipients will prefer the class of a leather portfolio or the trendy look of neon nylon for the corporate room, we have the promotional portfolios to showcase your logo. Our printing process allows your logo to really pop out and wow anyone who sees your portfolio. Whether you decide to use a embossed or debossed method, or color imprint method, your logo will be featured on the front of the portfolio for everyone to notice. 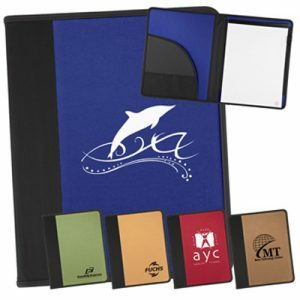 Remember that custom promotional portfolios are useful office accessories as well as professional-grade business gifts! 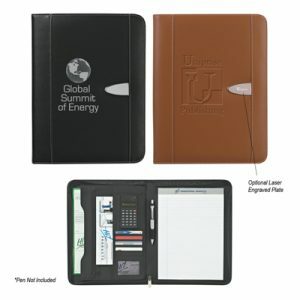 Consider custom portfolios for all kinds of company or business occasions, trade show events to new employee gifts. 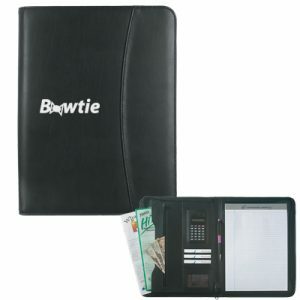 Classy leather portfolios are a stunning way to let recipients know that their new company takes their career seriously. Increase the value of a portfolio by adding a custom pen to the gift package as well!